Join me at Zazen for an afternoon practice that will balance and rejuvenate body and mind. Combining passive and active postures with guided relaxation and meditation, we’ll explore and harmonize the complementary polarities – yin/yang, active/receptive, masculine/feminine – that compose both our internal and external worlds. We’ll begin with Yin Yoga, a series of seated, passive postures that maintain the health of our joints and balance the body’s energy system. 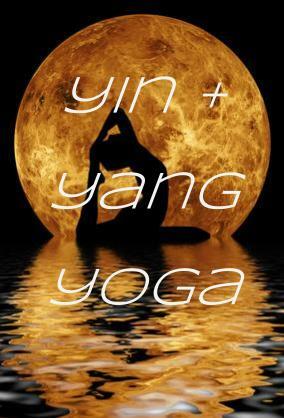 An antidote to our busy lives, Yin cultivates an easeful body and calm mind. We’ll follow with a Yang (active) vinyasa practice, enhancing the body’s natural vitality. Deep relaxation and meditation will conclude this complete and integrated practice. Homemade chai will be served after class! 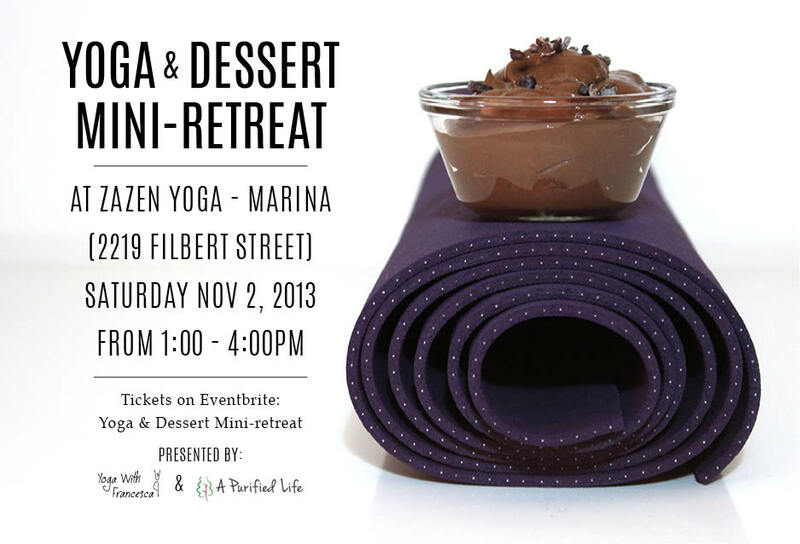 Treat yourself to a yoga & dessert mini-retreat before the holiday rush begins. Join us for fireside yoga followed by a vegan and gluten-free dessert demonstration. I’ll be leading the group in a rejuvenating Hatha Flow class, winding down with restorative poses and aromatherapy for deep relaxation. Then we’ll snuggle up with homemade chai as Giovanna Garcia, certified natural chef and owner of A Purified Life, walks us through the simple steps of making delicious and nourishing sweets for the holidays. You’ll take home recipes for yummy treats such as homemade almond milk, chocolate avocado pudding, and pumpkin spice cookies.